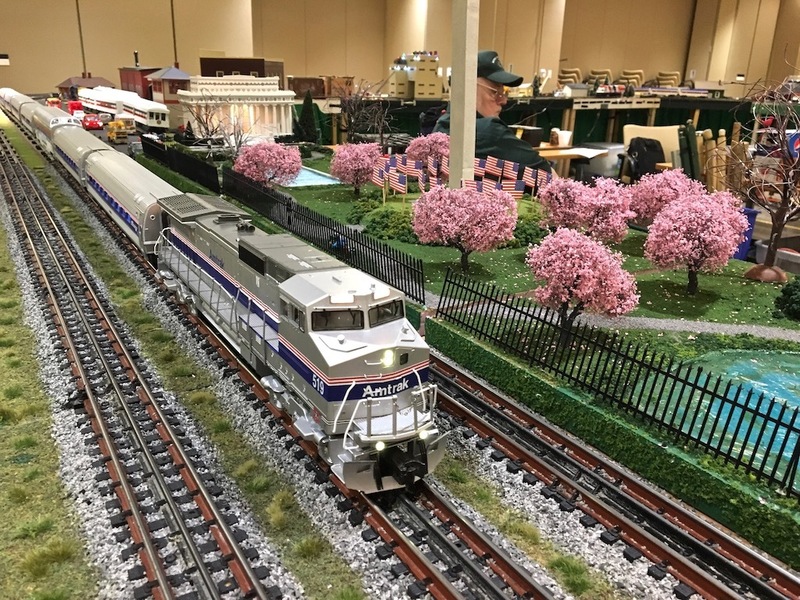 Passing the Cherry Blossoms in bloom on the National Mall Module, National Capital Trackers layout. Photographed by Bill Hakkarinen, April 13, 2018. Added to the photo archive by Bill Hakkarinen, April 30, 2018.